You’ve learned the basics of lifting and you’ve caught the bug! But you struggle to find people to train with and coaches who really know weight training for women and understand what you want. You’d like to be part of a community of like-minded people, as no-one in your life is interested in lifting or ‘gets’ why you love it so much. You want to stay motivated and accountable so that you can make real progress, even when life gets in the way. You may have plateaued in your progress recently and you’re not sure how to get over this. And you want to challenge yourself. You need support, encouragement and a great training environment to get you where you want to be. 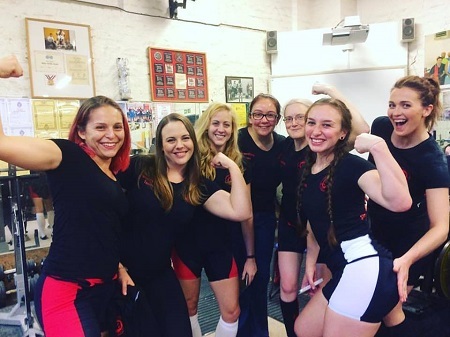 Our powerlifting team at a recent championships. Most of these women started in Ladies Who Lift. Where could you end up? 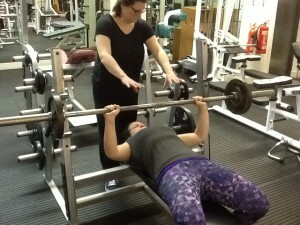 You need a regular weight training for women session, contact with a coach and training buddies. A regular date in the diary to keep you accountable. To be surrounded by people who have similar goals and aspirations to you. You want to feel like you are making progress and that you could achieve great things in the future. You have made a change in your life and you are in this for the long haul. The Ladies Who Lift Intermediate class is for people who have been lifting for 6 months or more and can competently perform a barbell squat and barbell deadlift. Having perhaps reached a plateau, you need help to bust through that plateau and start making progress again! The sports club is a 10 minute walk from West Dulwich station (trains from Victoria and Brixton). Free car parking is available in the main college car park [with sports club membership card]. On street parking is also available. To sign up for Ladies Who Lift classes, please go to the Memberships page.